George E. Lewis (born July 14, 1952) is a composer, electronic performer, installation artist, trombone player, and scholar in the fields of improvisation and experimental music. 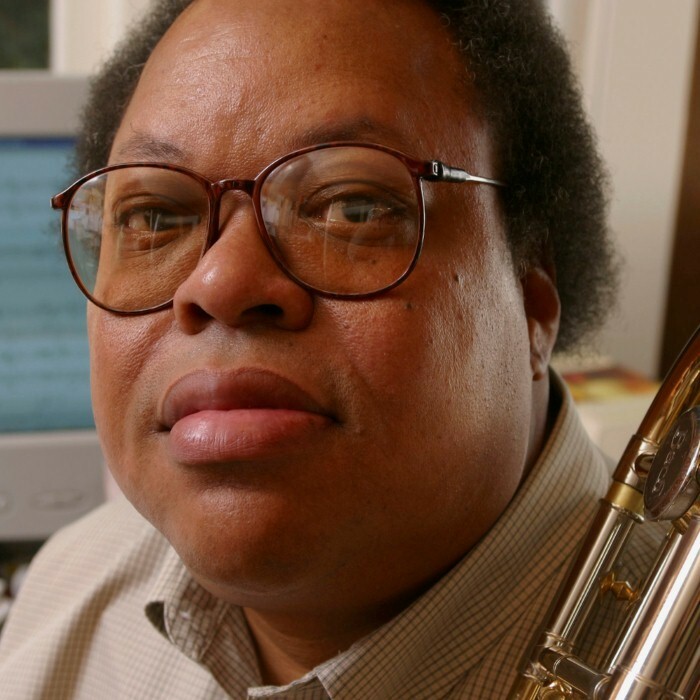 He has been a member of the Association for the Advancement of Creative Musicians (AACM) since 1971, and is a pioneer of computer music. Born in Chicago, Illinois, United States, Lewis graduated from Yale University in 1974 with a degree in philosophy. In the 1980s, he succeeded Rhys Chatham as the music director of The Kitchen. Since 2004, he has served as a professor at Columbia University in New York City, having previously taught at the University of California, San Diego. In 2002, Lewis received a MacArthur Fellowship. In addition to his own recordings, he has recorded or performed with musicians including Anthony Braxton, John Zorn, Roscoe Mitchell, Douglas Ewart, Laurie Anderson, Muhal Richard Abrams, Count Basie, Gil Evans, Nicole Mitchell, Karl E. H. Seigfried, Fred Anderson, Conny Bauer, Evan Parker, Bertram Turetzky, Marina Rosenfeld, Anthony Davis, David Behrman, David Murray, Derek Bailey, Frederic Rzewski, Han Bennink, Irene Schweizer, J.D. Parran, James Newton, Joel Ryan, Joëlle Léandre, Leroy Jenkins, Michel Portal, Misha Mengelberg, Miya Masaoka, Richard Teitelbaum, Sam Rivers, Steve Lacy and Wadada Leo Smith. He was also a sometime member of Musica Elettronica Viva, the Globe Unity Orchestra, and the ICP Orchestra (Instant Composer's Pool). Lewis has long been active in creating and performing with interactive computer systems, most notably his software called Voyager, which "listens to" and reacts to live performers. Between 1988 and 1990, Lewis collaborated with video artist Don Ritter to create performances of interactive music and interactive video controlled by Lewis’s improvised trombone. Lewis and Ritter performed at venues in North America and Europe, including Festival International de Musique Actuelle de Victoriaville, Verona Jazz Festival, Art Institute of Chicago, The Kitchen (NYC), New Music America 1989 (NYC), The Alternative Museum (NYC), A Space (Toronto), and the MIT Media Lab (Cambridge). In 2008, Lewis published a book-length history of the AACM titled A Power Stronger Than Itself: The AACM and American Experimental Music (University of Chicago Press). The book received the 2009 American Book Award. In 1992 Lewis collaborated with Canadian artist Stan Douglas on the video installation Hors-champs which was featured at documenta 9 in Kassel, Germany. The installation features Lewis in an improvisation of Albert Ayler's "Spirits Rejoice" with musicians Douglas Ewart, Kent Carter and Oliver Johnson. Lewis is featured extensively in Unyazi of the Bushveld (2005), a documentary about the first symposium of electronic music held in Africa, directed by Aryan Kaganof. Lewis gave an invited keynote lecture and performance at NIME-06, the sixth international conference on New Interfaces for Musical Expression, which was held at IRCAM, Paris, in June 2006. In 2008 his work "Morning Blues for Yvan" was featured on the compilation album Crosstalk: American Speech Music (Bridge Records) produced by Mendi + Keith Obadike.